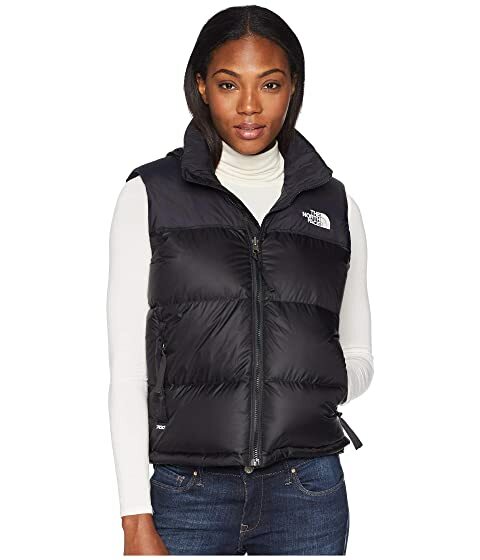 The North Face® 1996 Retro Nuptse Vest is a modern take on a classic design that's great for layering or even on its own! Can be stowed into its own pocket. 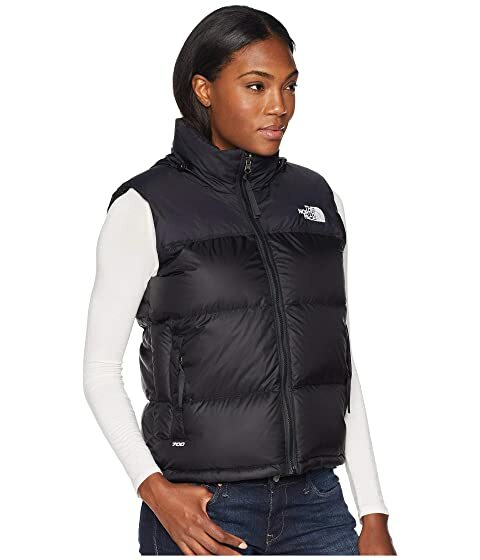 Ripstop fabric with a durable water-repellent (DWR) coating provides extreme durability with a coating that sheds light rain and dries quickly. Attached, adjustable hood can be stowed easily in the collar. Sleeveless design affords you an exceptional range of motion. 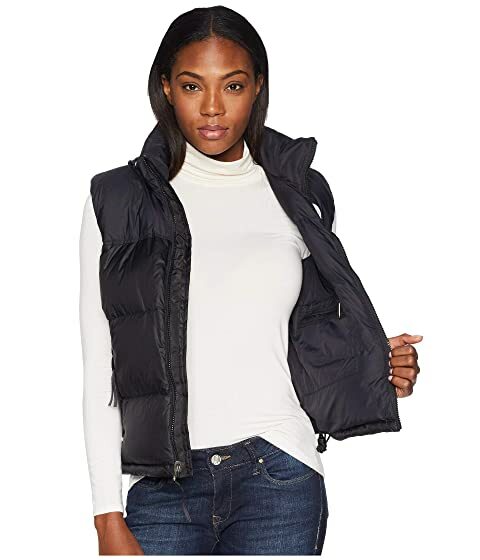 Lightweight VISLON® zip closure with internal draft flap helps keep moisture at bay. 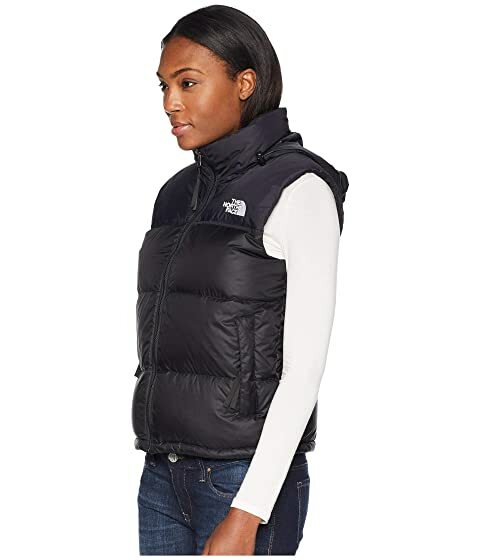 Zip close hand pockets help keep their contents in place when you're on the go. Bungee cinch hem helps keep the heat in with a secure fit. 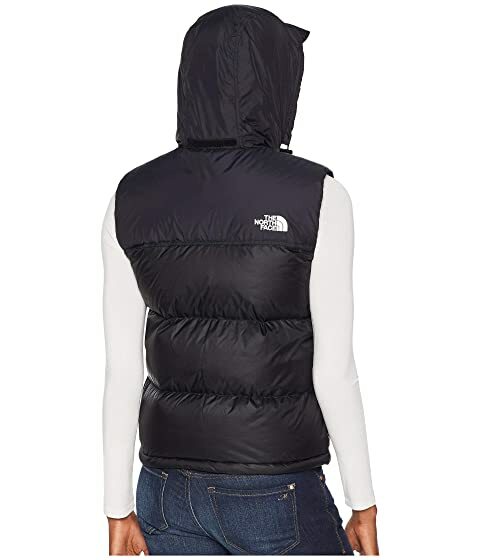 Oversized baffle design inspired by the classic 1996 Nuptse vest. Branding on left chest, right hem, and back right shoulder.